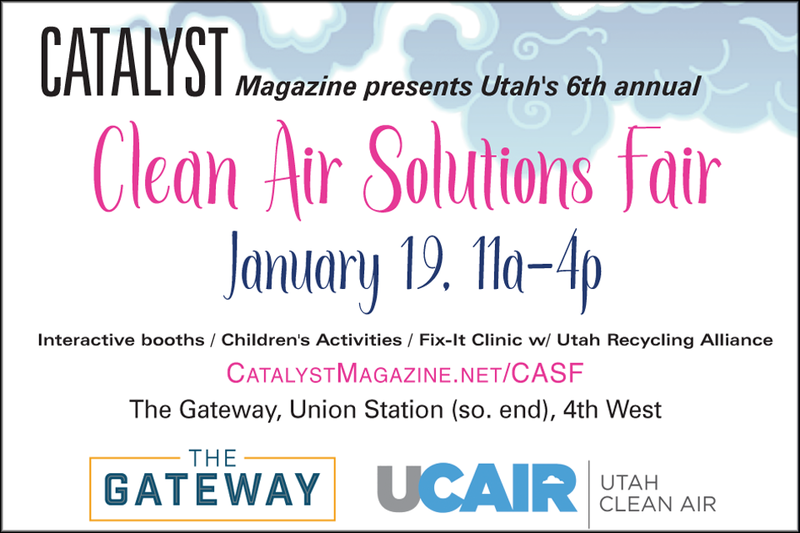 Join us at the 6th Annual Utah Clean Air Solutions Fair presented by CATALYST Magazine on January 19th from 11 am – 4 pm at The Gateway. Clean Air Solutions Fair’s mission is amplify communal engagement and empowerment, spread awareness on our unique air issues, and create an environment for family fun. Free! Games, nonprofit booths, clean air innovators, community organizations, and more!